I recently experienced the luxurious feeling of Kama Sutra Intimate Caress Shave Cream, after purchasing it from Adam & Eve. Having relied on Kama Sutra products for years, I often repurpose them from bedroom enhancements to beauty staples. I have employed their massage oils as intended, but I also found they work effectively as bath and body oils to help keep winter dry skin supple. My high expectations for their shave cream were certainly confirmed with use. It has quickly become a favorite. The shave cream has a silky consistency that glides easily over the skin. The feel is similar to a lightweight hair conditioner. While Kama Sutra Intimate Caress Shave Cream is recommended for the bikini area, it produces impressive for results for smooth under arms and legs. I found I get a much closer shave with this product than using razors with built in soap bars. The product is light enough in texture that it rinses easily from my razor without clogging the blades. For this reason, I prefer it to other similar products with botanical extracts and natural oils. The components are blended to moisturize the skin and produce a quick and easy shaving experience. This is by far one of the best shaving creams I've tried. The Coconut Pineapple fragrance reminds me of a refreshing summer smoothie or fancy lady's cocktail. Since shaving is such a utilitarian part of a woman's beauty regimen, I prefer selecting products with a pleasant scent to make it enjoyable. The aroma is reminiscent of summer beach weather, which is a nice mental escape during the winter season. I appreciate how the natural ingredients combine to enhance my shaving experience without contributing to skin sensitivity. Kama Sutra Intimate Shave Cream has been allergy tested and reviewed by dermatologists. I can attest my very sensitive skin had no contact irritation. Ingredients: Water (Aqua/Eau), Cetyl Alcohol, Stearyl Alcohol, Cetrimonium Bromide, Collodial Oatmeal, Aloe Barbadensis Leaf Juice Powder, Simmondsia Chinensis (Jojoba) Seed Oil, Persea Gratissima (Avocado) Oil, Tocopheryl Acetate, Chamomilla Recutita (Matricaria) Flower Extract, Hydrolyzed Soy Protein, Panthenol, Sodium PCA, Dimethicone, Guar Hydroxypropyltrimonium Chloride, Steareth-21, Sorbic Acid, Disodium EDTA, Fragrance (Parfum), Limonene. I had a great experience ordering this product from Adam & Eve. After inquiring about how items are packaged and shipped, I felt comfortable having my order sent to my work place. My shave cream arrived, practically mummified in bubble wrap, inside a padded mailer with no mention of the site name on the label. Adam & Eve added a complementary Big 'O' Kit to my order, a $14.95 value, along with free shipping, as part of a promotion. By registering with the site, coupons and special offers will be sent as notifications to your e-mail address. You can also choose not to register if you prefer. Some of the current codes are advertised on the home page so all customers can participate. I can easily give Kama Sutra Intimate Caress Shave Cream an enthusiastic recommendation and guarantee this product will be among my favorite items to repurchase. If you are looking for a shaving cream that works equally well for the bikini area, under arms and legs, it's worth ordering. I purchased the bottle of Kama Sutra Intimate Caress Shave Cream from adameve.com. This review was sponsored in exchange for my honest opinion of Adam and Eve's products and services. Image source is the Adam & Eve website. I will be updating this review with my own photo over the weekend as soon as I can wrangle my wily camera cord. Cornflower, my Holland Lop, has been bunny about town in Philadelphia for the past couple weeks. Let's go exploring with her! From an outdoor cafe table, to enjoying the sweet offerings inside, to watching the world go by on the front steps of our apartment building, to a picnic in the park, she won't miss a thing. I can't see you. You can't see me. There is no end to my cheekiness. Little miss hops a lot. Health & Whimsy: Getting it done! There has been much progress since my last Health & Whimsy post! I am able to check off a few fitness and nutrition goals from my New Year's Resolution list. I completed three months of P90X Lean Program, which greatly improved my endurance, strength, muscle tone and flexibility. I'm planning on doing another round of P90X this year starting in the cooler weather. For now, I would much rather exercise outdoors. My walking speed is down to a 15 minute mile. I complete my four mile walk in about an hour and two minutes. When I started power walking last September, it took me an hour and 15 minutes to cover four miles. I'm pleased with the improvements I've made in my speed with continued effort. Although it took some will power, I fine tuned my diet by restricting my consumption of cheese. When I would like the flavor of melted cheese, I've been substituting soy cheese, occasionally enjoying goat cheese or parmesan and romano as a treat. As much as I love cheese, it's not benefitting my figure to eat it every day. I can get the proper calcium intake with help from Greek yogurt and soy milk. My efforts are definitely showing. I am now wearing a size 8 or medium and down 35 pounds overall. I'm happy with the weight loss, but my main purpose for the nutrition and exercise focus is the health benefits. A rose by the garden gate. Weight loss so far hasn't decreased nerve pain, but being consistent with vigorous exercise and balanced nutrition seems to keep occurrences to a minimum. I'm glad I found a way to keep pain in check for the most part and help my body to heal, but there isn't much of a margin for error. Anything less than five days a week of exercise is problematic. Still, I am very grateful I can take care of the issue with vigilance. Keeping my closet organized with clothes that fit in the present. I mailed tees, pants and skirts, which no longer work for me, to my sister and a close friend. Holding on to clothes that don't fit properly isn't the best use of space in a city apartment. I also feel it's wasteful to let things sit and go out of fashion when they could be enjoyed by someone else. The sense of non-attachment I feel towards my clothes also reflects my belief in my future success. Outlet shopping. Old Navy and The Gap outlets have kept me comfortably attired for exercise. Going in with patience and a willingness to try on an armful of clothes to emerge with a few affordable, standout pieces is key. Creating a fitness calendar. I have a monthly calendar I only use to record each exercise session and rest day. Being able to view my activity at a glance helps me to see what routines are effective and keep track of exactly how much exercise I am doing. I find it motivating to see my calendar filled in with activity. Positive results require planning and tracking. Shopping for the future. Since I have been consistent with my healthy eating and exercise, I feel confident I will go down another size. I found a couple dresses I absolutely loved at clearance prices and decided to purchase a size small in each of them. The mediums I have fit perfectly now, but since it was cheaper to buy duplicate dresses than it would be to alter the ones I am currently wearing, it seemed like a smart plan. Also, it's a relief to know there will be something pretty and familiar waiting in my closet for the day when my current wardrobe no longer fits properly. Purchasing grated cheese or individually packaged serving sizes. The goat cheese from Trader Joe's comes in single serving mini rounds, as does gouda, which I may try for summer salads. Grated cheese is easy to measure by teaspoon. As a single person, I've temporarily banned blocks and wedges of cheese from my fridge. I feel the same way about cheese that many do about chocolate, so it was essential for me to have a moderation plan in place. Walk four miles five days a week. Keep up with logging my meals and fitness on Twitter @ladyfingersblog. Thanks so much for everyone who has been commenting on my food tweets! I am glad they have been inspiring. Go to the Farmers' Market! The weekly markets are starting again in the local parks. I love buying my produce directly from the people who grow the food. The vegetables are fresher, more affordable and longer lasting. Create some new salads. It's the perfect time of year to experiment with salad combinations. 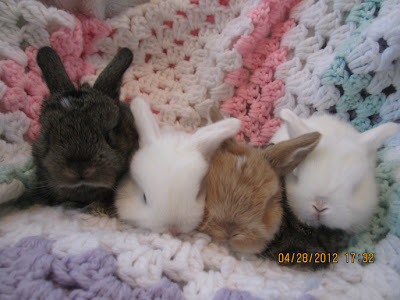 The next few weeks before Cornflower, my baby Holland Lop bunny, arrives are going to be busy for me. I'm doing a lot of reorganizing in my apartment. My main goals for health and fitness are going to be keeping up best practices. I'll be refining my goals in early June and adding weight training and yoga as weekly standards. For now, I will keep doing what has been working and look to re-energize my routine in a few weeks. How are you doing with your goals? I'm curious to know what motivates you. Are you feeling more apt to focus on health and wellness with the summer season approaching? For those checking in from Australia, how does your routine change with the cooler weather? Bunnies! It must be bunnies! I hope you are all doing well! 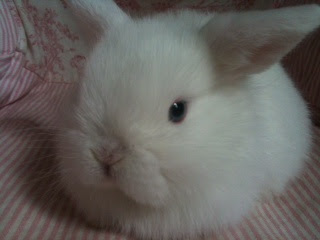 I wanted to check in and share photos of my baby Holland Lop bunny. She is four weeks old and still with her mother. She'll be coming home with me on June 3rd once she has a chance to grow up a bit more. I decided to name her Cornflower because of her blue eyes. It was also my favorite color in the giant Crayola box that inspired my creativity as a child. Look at those furry feet! Cornflower and her litter mates. Photo credit for all three pictures belongs to Rachel Burghen. 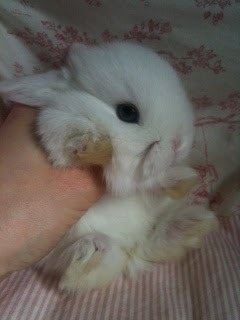 You can visit her site bunnyblueeyes.com and see more of her charming pictures and information about upcoming litters. Rachel has promised us some additional photos after her camera gets fixed. I will certainly share them with you. I will be back to regular posting after Cornflower arrives. I'm hoping to put up a Health & Whimsy post before then and give you all updates on my continued efforts and success. I am in the midst of doing apartment reorganization at the moment, but once Cornflower is here, I will have more time for fancy nail art and product reviews. I am definitely looking forward to it! Before we move too far into 2012, I wanted to revisit my favorite products of the past year. Below is a showcase of items for beauty, nail and skin care that have become essentials in my routine. You can click on the links below the photos to explore the full product reviews. 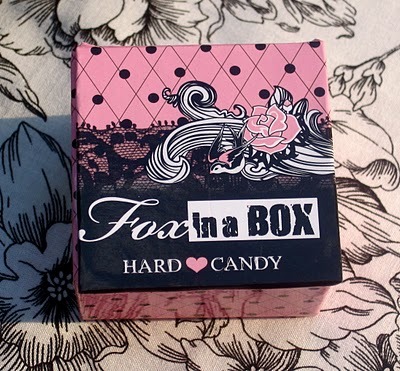 I use this Hard Candy blush and bronzer duo almost every day. Adding warmth and color to the skin year round, I love how this product helps to create subtle contouring on the cheeks and jaw line. Art Club Sealer is my absolute favorite nail art topcoat. Replacing Konad special topcoat for protecting stamping designs, Art Club Sealer will prevent smearing and leaves a high gloss, bubble free shine. It also works beautifully to adhere rhinestones, fimo, dried flowers and other 3D nail art materials. 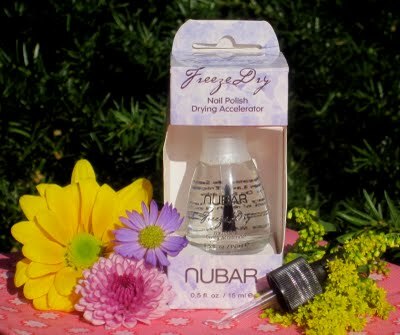 Nubar Freeze Dry is an amazing treatment. It dries polishes hard in minutes. If you are struggling with a pesky formula that refuses to cure, Freeze Dry is up to the task. I utilize Freeze Dry for pedicures as well. 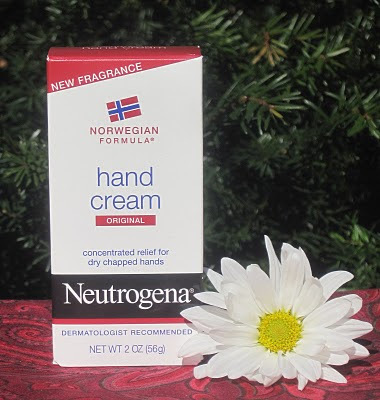 Neutrogena Hand Cream is an effective and affordable way to nourish and protect hands from winter dryness. It's a great drug store staple. 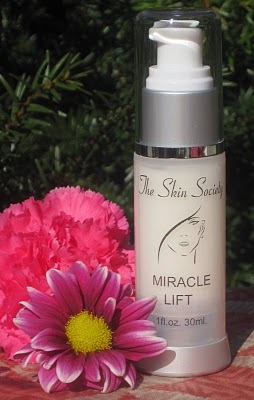 If you want your skin to look fresher and more youthful, apply Miracle Lift as a daytime treatment. 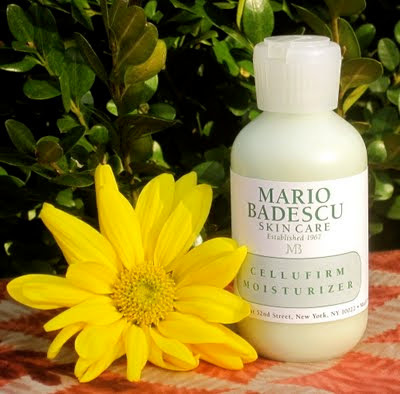 Mario Badescu Cellufirm Moisturizer provides deep hydration and adds a youthful fullness to the skin. Nourishing Daily Cleanser from Refinee hydrates as it gently sweeps away makeup and impurities. 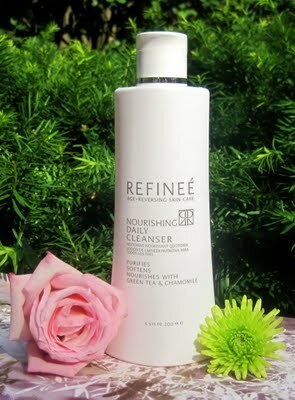 I especially love this cleanser during the warmer weather. It does a thorough job of removing sunscreen without causing redness or irritation. Perfect for ladies with sensitive or aging skin! Burt's Bees Orange Essence Facial Cleanser is a joy to use. 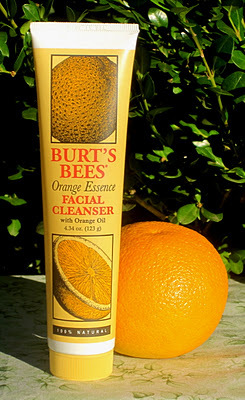 It's delectable citrus scent makes removing makeup in the evening much more pleasurable. you may want to try their Rosewater Facial Spray. the results of this serum when applied under an evening moisturizer. that have become indispensable to your routine? I snack on seasoned nuts or fruit and nut medleys almost every day. Protein rich, nuts help encourage strong nails, lustrous hair and a bright complexion. Nuts are a heart healthy food. Rich in unsaturated fats and Omega 3 fatty acids, consuming nuts is linked to lower cholesterol. Walnuts are the highest in Omega 3s. I enjoy adding a handful of walnuts to stir fries with mushrooms and root vegetables. Another benefit of nuts is iron content, which is important for women. About a year ago, my iron levels dropped. I had less color in my cheeks and became exhausted easily. Along with adding more spinach to my diet, nuts became one of my favorite snacks. Nuts also contain dietary fiber. I rarely return from a shopping trip from Trader Joe's without trying a new nut blend or purchasing a known favorite. Rosemary Pecans and Cranberries along with Thai Chile and Lime Cashews are often found in my cabinet. Sahale Snacks is another well loved brand. I enjoy their Glazed Almonds with cranberries, honey and sea salt, Valdosta Pecans with sweet cranberries, black pepper and orange zest, and Sing Buri Cashews with pineapple, peanuts, lemongrass and mild chili. As a vegetarian, the most common question I am asked is: How do you get enough protein?. Thankfully, this isn't as difficult as it would seem. My good friend, Cassandra Johnson, Boston area nutrition consultant and coach, suggests the following formula to calculate protein needs: Take your weight in pounds and divide the number by 2.2 to get your weight in kilograms. Then multiply that number by .8 to get protein grams. She also suggests spreading your protein intake throughout the day so your body can use it easily. This provides a steady supply of protein for your cells. In her practice she found that many people eat carbs and fat all day and forget about protein until dinner. A serving of nuts offers an easy fix for this common behavior. My favorite nut mixes contain up to five grams of protein. I often eat a serving of nuts before or after working out to maintain my energy levels. For those concerned about the calorie content, a quarter cup serving size of nuts is easy to calculate. Simply hold out your hand. The amount of nuts that fits easily into your palm is the perfect amount. You can test this by using a measuring cup to start. I recommend pouring out a single serving size and walking away from the bag! More progress this past week! I am down another pound, for 25 pounds lost since September 1st. Beginning the seventh week of P90X, I am experiencing noticeable increases in strength. I carried two heavy bags eight blocks from the grocery store and wasn't fatigued. With city living, being able to purchase more items in a single shopping trip helps with efficiency. Do you ladies enjoy snacking on nuts? Do you have a favorite brand or medley? How was your week in health and fitness? Any news or successes to report? You can read more about the products mentioned in this feature and discover other healthy snacks at traderjoes.com and sahalesnacks.com. Health and Whimsy is intended as a journal of my personal experience. Please consult your doctor before making any changes to your health regimen. Fabulous Night Serum from The Skin Society helps keep my skin smooth and hydrated in all seasons. 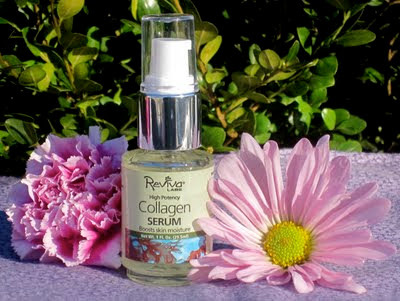 This dual purpose serum can be used singly or layered under your favorite night cream for maximum emollience. Those with normal, dry, sensitive or aging skin would benefit from the nutritive, botanical formula containing Vitamins A, B5, C and E, along with Omega 3 and 6. I began using Fabulous Night Serum in the summer as a single layer over cleansed skin. In the winter, I apply this serum as a prelude to my evening moisturizer. Layering a night cream over a serum enhances overall hydration. This product helps my skin to retain a youthful appearance. 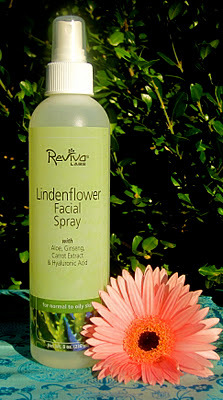 Hydrated skin will maintain a look of fullness, naturally minimizing the appearance of fine lines. Although the consistency is slightly heavier than most serums I have tried, it absorbs well. I believe Fabulous Night Serum would be a little rich for oily or acne prone skin types. If your skin is in the normal to very dry category, this serum would be worth adding to your regimen. The packaging design allows for clean and efficient use of product. An inner cylinder moves upward as the serum is dispensed, keeping the contents from being exposed to air. The pump top can be unscrewed to access a final application. There is no product waste nor worry of contamination with normal use and proper storage. I recommend reading through the Skin Care Glossary to learn about the components in Fabulous Night Serum. Don't be misled by the chemical sounding names; The ingredients are naturally derived. Ingredients: Distilled Water, Squalane (from Olive), Isononyl Isononanoate, Coco-Caprylate, Glycerin, Acrylates Polymer, VP/Polycarbamyl Polyglycol Ester, Hydrolysed Sesame Protein, PG-Propyl Methylsilanediol, Xylitylglucoside, Anhydroxylitol, Xylitol, Sodium Palmitoyl Protein, Nymphaea Alba Flower Extract, Oleyl Alcohol and Dioscorea Villosa Root Extract, Glycine Soya Sterols, Arachidyl Alcohol, Behenyl Alcohol, Arachidyl Glucoside, Borage Oil, Flax Seed Oil (Omega 3 and 6 Complex), Retinyl Palmitate (Vitamin A), Sodium Ascorbyl Phosphate (Vitamin C), Panthenol (Vitamin B5), Tocopheryl Acetate (Vitamin E), Retinol, Palmitoyl Glycine, Cocoyl Alanine, Palmitoyl Hydrolyzed Wheat Protein, Polyacrylate 13, Polyisobutene, Polysorbate 20, Palmitoyl Proline, Magnesium Palmitoylglutamate, Sodium Palmitoylsarcocinate, Panthenol (Vitamin B5), Sodium Ascorbyl Phosphate (Vitamin C), Retinol Palmitate (Vitamin A), Tocopherol Acetate (Vitamin E), Retinol-Capryloylhydroxamic Acid, Caprylyl Glycol, Sodium Phytate, Natural Fragrance. Obtained from olives, squalane is a natural oil that has a similar molecular structure to human sebum. This allows squalane to absorb readily into the skin for optimal hydration. It has been shown beneficial in the prevention of age spots. Sesame is useful in encouraging the skin to retain moisture. Naturally enriched with the antioxidants Vitamins A and E, sesame assists in fighting the free radical damage that leads to pre-mature aging. If you are looking for a product that can effectively hydrate your skin throughout the year, Fabulous Night Serum is a quality choice. I appreciate having skin care that can perform through seasonal weather changes, as it helps streamline my routine as well as the appearance of my medicine cabinet! Fabulous Night Serum was sent to me for review. A 1 fl. ounce (30ml) bottle retails for $42.50 and can be purchased at theskinsociety.com.